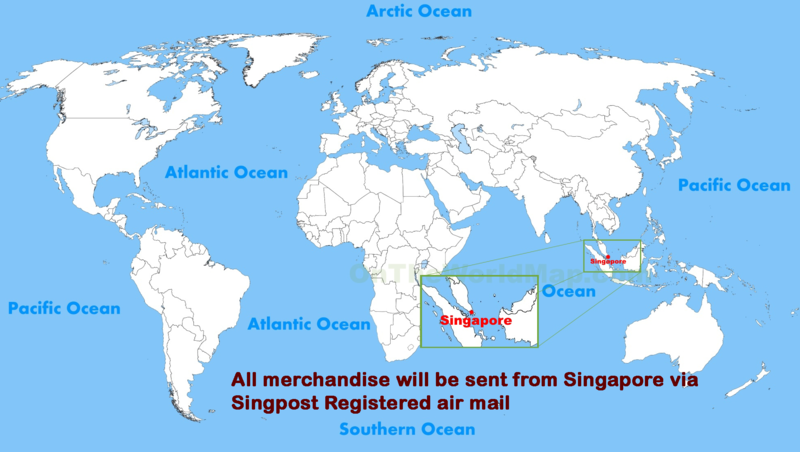 Tracking numbers are assigned to packages when they ship from Singapore. Once they’ve shipped, you’ll receive an email which includes a tracking number along with your order information. Format of the tracking number is RC999999999SG. Tracking information will be provided for items shipped. Note that a shipping company may not have the ability to track a shipment for up to 48 business hours after your initial order is placed. Shipping lead time to other countries may take up to 25 business days. If you wish to upgrade the shipping to express delivery service please contact us for a quote.